Old school video game heads remember the epic rivalry between Sega and Nintendo. You think the beef between Marvel and DC fans is rough? Playstation vs. Xbox? WWE vs. WCW? 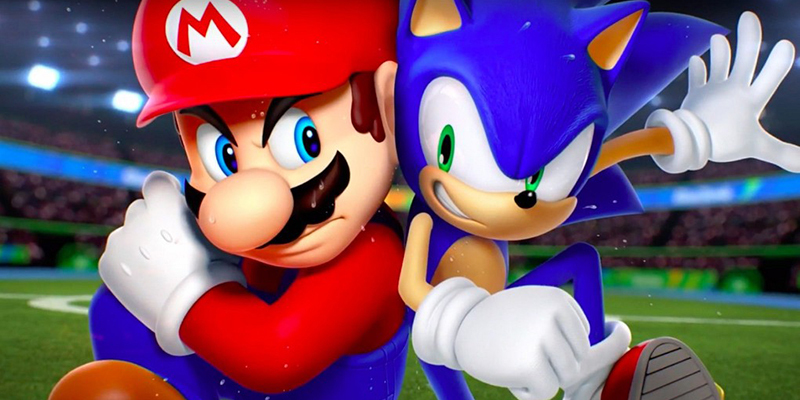 Try being a Sonic the Hedgehog fan in a Mario house. You could get cut at a moment's notice. A few years ago Seth Rogen and Evan Goldberg had plans to direct Console Wars, a film about the feud between those legendary video game companies, but nothing has been heard about it since. At least not until now as a new director has come aboard to bring that story to life in a different format. Kong: Skull Island director Jordan Vogt-Roberts will take the helm of a limited event series based on Blake J. Harris' book, Console Wars: Sega, Nintendo, and the Battle that Defined a Generation. The story follows the rise of Sega in the '90s, becoming the first true competitor to Nintendo's dominance. Vogt-Roberts is an interesting pick, seeing as he is also involved in the Metal Gear Solid movie that has been in the works for a while. He made his breakout debut with the coming-of-age film, The Kings of Summer. Rogen and Goldberg remain attached as producers, while the series' first episode will be penned by American Vandal's Mike Rosolio. Teaming up with @sethrogen and a bunch of amazing people to bring this to life. Such a dream project filled with amazing stories and characters that defined my youth.